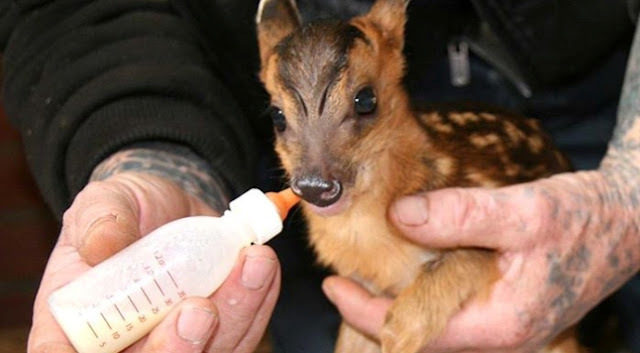 A baby deer has started her life off with a bit of a miracle. A staffer at Hillside Animal Sanctuary in the U.K. was driving along late Tuesday night when he spotted a muntjac deer collapsed on the road. He jumped out to check on her and see if he could help. 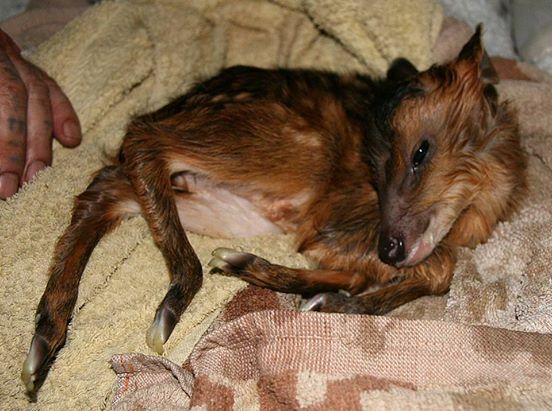 Unfortunately, the little deer had passed away — but then he noticed something unusual. The deer's belly was moving. She had been heavily pregnant when she was hit by a car, and her baby was fighting to get out. Fortunately the staffer had an appropriate tool on him, and was able to cut the young deer out of her mother's belly. 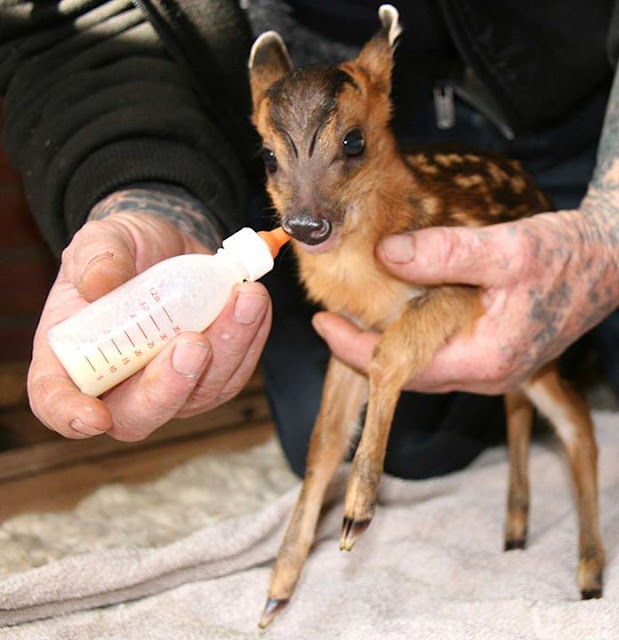 He wrapped up the premature fawn and brought her to Hillsdale, where she arrived "struggling to survive," the rescue said. 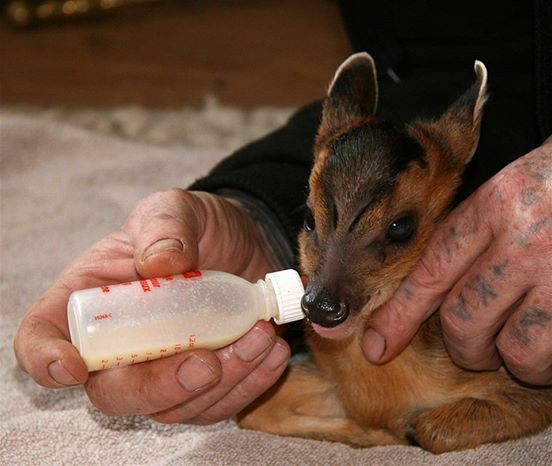 They fed her emergency colostrum — the early milk many mammals feed their young that's crucial to their survival — and hoped for the best. Wonderfully, the next day she looked like a different deer. A photo shows her alert and standing, though she's barely the size of her carer's hand. She is "looking much brighter," the rescue said. "She is certainly not out of the woods yet but we are hoping that she will make a full recovery." The little deer has a long way to go, but hopefully she'll get to live on as her mother's last legacy. And though she entered the world in a particularly tragic way, she couldn't have fallen into better hands. Responses to "Man Stops To Check On Dead Deer — And Finds A Miracle"
That little girl got so lucky!! He was in the right place a the right time! !